July 15, 2011  Keeping inflation in check: A 6.8 percent drop in gasoline prices. Also: Food prices rose a modest 0.2 percent, the smallest increase so far this year. 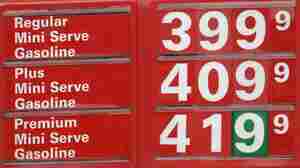 June 15, 2011  The smallest increase since November was due to a 2 percent decline in gasoline prices. June 14, 2011  The decline in retail sales is among several recent signs that economic growth is slowing. May 12, 2011  A trio of economic indicators add to the economic puzzle. April 14, 2011  Claims for jobless benefits rose after two weeks' worth of declines. Wholesale prices were pushed higher by rising energy costs. March 17, 2011  Higher food and energy costs pushed prices up the most for any month since mid-2009. Meanwhile, claims for jobless benefits have declined in three of the past four weeks.